Each is a beautifully colored with flashes of green and silver. Size: medium, about 3/4 to 1 inch. Seraphinite assists us and helps us to appreciate what we are growing in our spiritual natures. Aligns the soul bodies, opens and aligns the body of light to the astral body vibration. Harmonizes energy vibration rates between the body and Chakras and purifies the aura. Aids in contact with spiritual guides, angels and Goddess, bringing awareness of one's position in the universal plan. Supports psychic vision and enhances spiritualized 'seeing' of the world. Seraphinte is a member of the monoclinic crystal system. It's mineral class is silicates in the Chlorite group, and its coloring is generally a blackish green with flashes and streaks of silver. It's 'proper' scientific identification would be Clinochlore (a hydrous magnesium iron aluminium silicate), and contrary to what some might say, it is actually found in many places around the world, including the US. The variety shown, sometimes called Serafina, has come from Russia. It has very positive effects for whatever use is decided upon by its user and is exhibiting some of the highest spiritual aspects versus other locales. Seraphinte can be constantly carried with you and is beneficial when worn as a pendant. It may be laid on the 3rd eye during meditation or laid and/or worn upon the Heart Chakra. Seraphinite assists us and helps us to appreciate what we are growing in our spiritual natures. It adds a sense of order to the universe, to our life, and the worldly chaos that may surround us. It helps in guiding us from hopeless thinking into what is possible by drawing in the energies from a higher plane of existence. It is a helpful tool to communicate with personal guides, the higher self, angels, or whatever you choose to call upon for your spiritual guidance and growth. Seraphinite helps us to see our life clearly and provides an accurate understanding of what our life actually is, as well as what needs to be done to change things to provide us with peace and happiness. 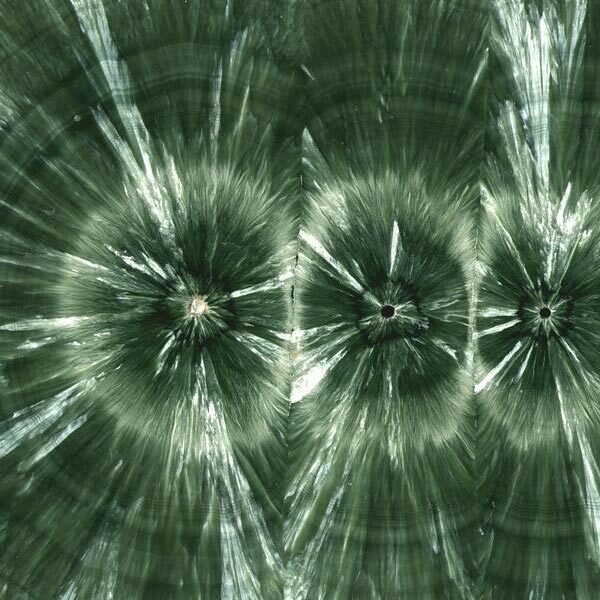 Seraphinite increases awareness and accelerates transformation. Particularly, old patterns or tendencies can be seen, acknowledged and altered, if that is what's needed. Our thoughts can be clarified, which in turn, strengthens our conviction in decisions and actions. It can enhance meditation, taking one into deeper states and becoming more open to the variety of planes of existence and beings. Seraphinite assists in cellular reconstruction and the integration of a healthy state of being. In creating a purifying energy, it is a benefit to detoxification and elimination. It strongly works at clearing out blockages and build-ups however they have manifested. This, in turn, effects our organs, optimizing their functions and supporting them to start functioning at their best levels. It is a spinal cord activator and links it to the etheric body. This is most pronounced behind the heart where it releases muscle tension that flows up to the neck. It has also been used for promoting weight loss, but I could not personally testify as to that benefit. 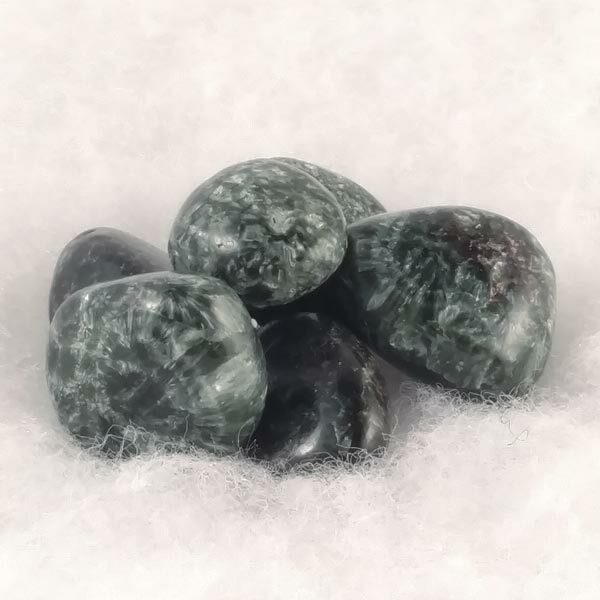 Seraphinite has a special affinity with those who are Taurus, but benefits all. It has a Receptive Energy, its Planet is Venus and its Element is Earth. Seraphinite is named after the highest order of the Angelic Realm, the Seraphim, thus signifying one of it's properties that of Angelic connection. You may sometimes find it under the name of Serafina, or it's scientific identification of Clinochlore. Primarily used by angelic light workers, this gem has been found be a helpful tool to communicate with personal guides, the higher self, angels, etc. As the users awareness level is increased, sensitivity is increased, which opens channels that bring their intuitive abilities to the forefront.